The Cork Mother Jones Committee is delighted that singer songwriter and activist Anne Feeney has been enjoying good health. 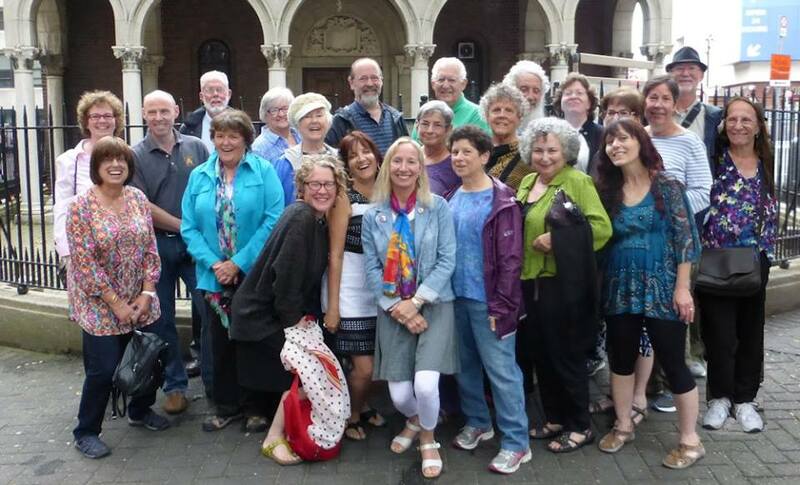 In her recent newsletter she has recalled the terrific time she had in Ireland in 2014 when she brought her tour to Shandon for the Spirit of Mother Jones Festival for the first time. She has just announced that she is planning “another one for the summer of 2016”. Anne introduced a fabulous group of people to the festival and to the local community and all played their part in making the festival a great success. We look forward to meeting up again in 2016, where they will be most welcome in Shandon. So to Maya, Anne, Paddy, Mark, Jane, Julien, Melodi,Jeff, Joan, Laura 1, Dori, Nina, Marjie, Dan, Dorrie, Sue, Bonnie, Laura 2, Vickie, Leah, Ray and Martha we send our best wishes and thank you all for coming to Cork and making a difference. Hope to see you all back soon again.